Super7 recently gave a sneak peek of its upcoming 3.75″ ReAction figures from Mike Mignola’s Hellboy comics. 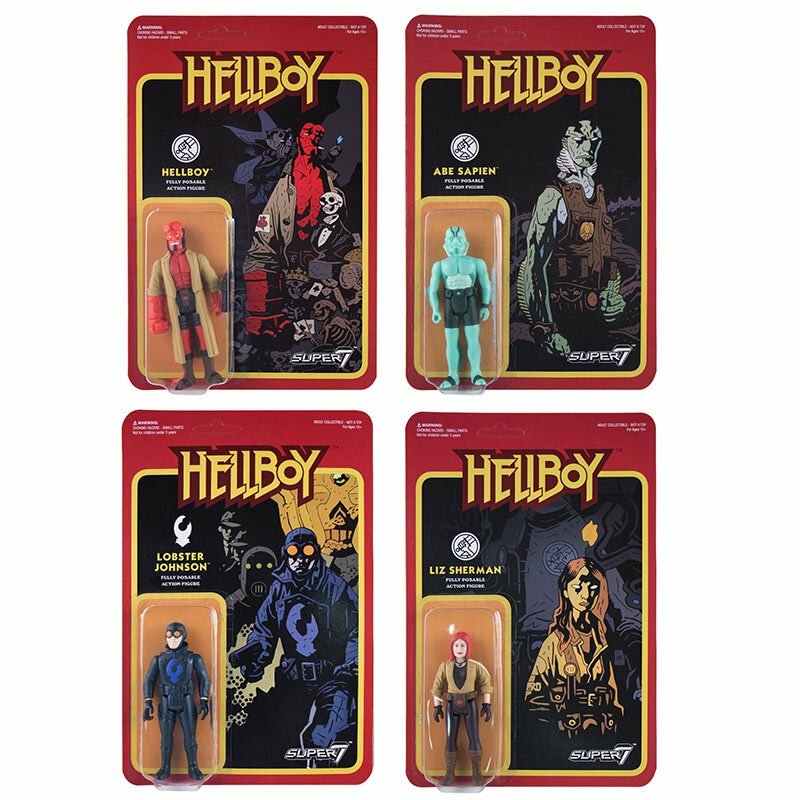 The set consists of four figures: Hellboy himself, Abe Sapien, Lobster Johnson and Liz Sherman. As far as packaging goes these have to be among the best ReAction cards, thanks to Mignola’s art and the kickass Hellboy title font. Here’s hoping Super7 also makes figures of Red’s enemies, such as Karl Kroenen and Herman Von Klempt.